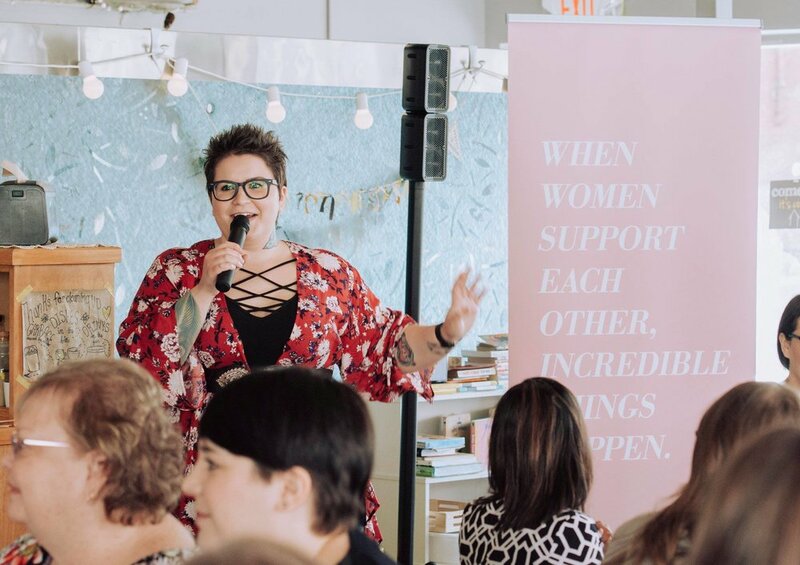 From my life in storytelling to tips on developing video content to sharing my personal journey as a woman in film and business, I've had the honour of being invited to speak at many cool events including Nerd Nite (Edmonton) and Babes Who Brunch (Calgary). I've gained a ton of experience in public speaking through an early career in theatre to my current career as a filmmaker and host of a podcast, That's So Maven! As much as I love the editability of audio and video, there's nothing like being live in front of a room full of people. I love the energy exchange that happens. I've been truly inspired by every speaking opportunity I've had, and the learning has most definitely been a two-way street. If you're interested in booking me to speak at your next conference or event, please contact me. I'd love to hear more.